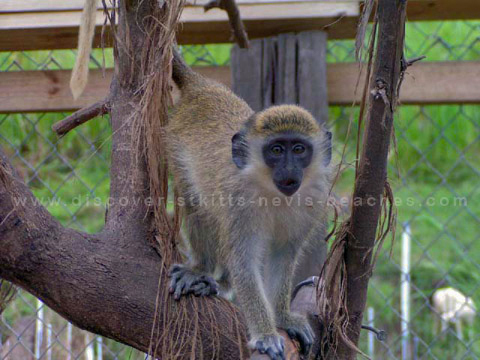 The following St Kitts trip review is by Steven S, a visitor from the United States. My wife and I spent 7 days on St. Kitts in August 2005. We stayed at the Timothy Beach Resort. Flying from the midwest make the first day very long! We changed planes in Dallas and San Juan. We were very relieved to land at the airport. Our taxi was waiting for us as prearranged to take us to the resort. (This is something quite refreshing about St. Kitts. People are almost always early and meet their commitments!) We had called to upgrade our room at TBR to an oceanview. It was ready for us, but the air conditioning was not on and there is not any vending machines as we are accustomed to in the US. Bernard at the desk went out of his way to find us two diet cokes. This typifies our experience on St. Kitts. Every person we met was very warm and hospitable. They went out of their way to make us feel welcome. We have travelled extensively throughout Latin America, but St. Kitts Nevis was the first Caribbean island for us. Nobody treated us like tourists. There is no begging and I never felt as if we were treated differently by any body. We did all of the touristy things--island tour, Brimstone Hill Fortress, the Circus, Batik Factory, rainforest hike with Royston, day trip to Nevis, horseback riding in the rain forest and a day trip to St. Maarten. We tried to schedule outings in the mornings and then lime on the beach all afternoon. If we had it all to do again we would schedule more time and spread out the activities--we were definitely busy, but is was worth it! TBR is in the perfect location to walk for breakfast at the Marriott (a bit surreal in such a small island!) or to a convenience store for water/beer, etc. We had reserved a rental car, but ended up using a taxi for the day and the driver, Veronica, ended up taking us wherever we wanted throughout our stay. Driving on the "wrong side of the road" is a bit intimidating and we could just relax and let her show us around. We learned that St. Kitts is starting down the road towards making tourism her main industry. It is our hope that St. Kitts retains her charm and that we can go visit again and enjoy her beautiful people and scenery again. Timothy Beach Resort, rainforest hike with Royston (don't let him fool you---it is hard!!!!!!! ), island tour with Veronica (Frigate Bay taxi stand), dinner at Ottleys, Nevis tour with Stedroy, lunch at Sunshines, shopping at the Circus, horseback riding in the rainforest (we booked on expedia.com for this), lunch at the Monkey Bar (watch out for anybody who calls you Herman!) and Dinner at Marshalls.